Concordia Seminary, St. Louis officially opened its 180th academic year Aug. 24, 2018, in the Chapel of St. Timothy and St. Titus, welcoming new students, faculty and staff, and recognizing the assignments of vicarages, internships and calls for some distance education students. 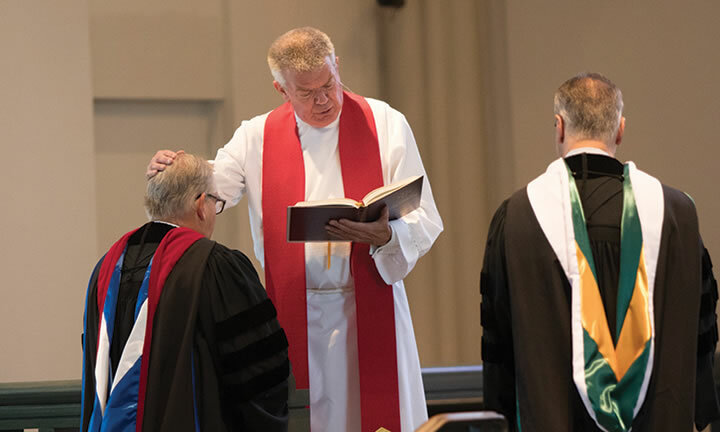 Also during the Opening Service, Dr. Douglas Rutt was installed as provost and professor of Practical Theology, and Dr. Abjar Bahkou was installed as associate professor of Practical Theology. The Seminary has a fall enrollment of 570 students, including 93 new students in residential and distance ministerial formation programs: 44 residential Master of Divinity students; eight Residential Alternate Route students; one deaconess student; nine Ethnic Immigrant Institute of Theology (EIIT) students; 28 Specific Ministry Pastor (SMP) Program students; and three Center for Hispanic Studies students. 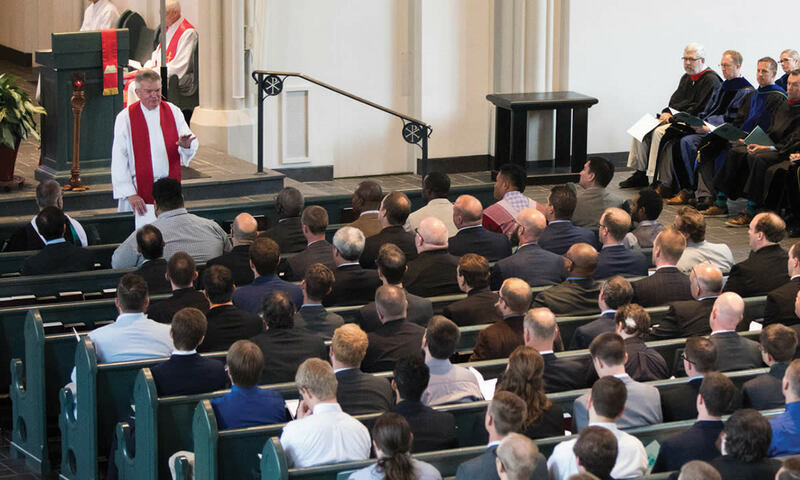 Concordia Seminary’s Advanced Studies department also welcomed 32 new students: 10 Master of Arts students; seven Doctor of Philosophy students; six Doctor of Ministry students; and nine Master of Sacred Theology students. To watch a recording of the Opening Service, click here. 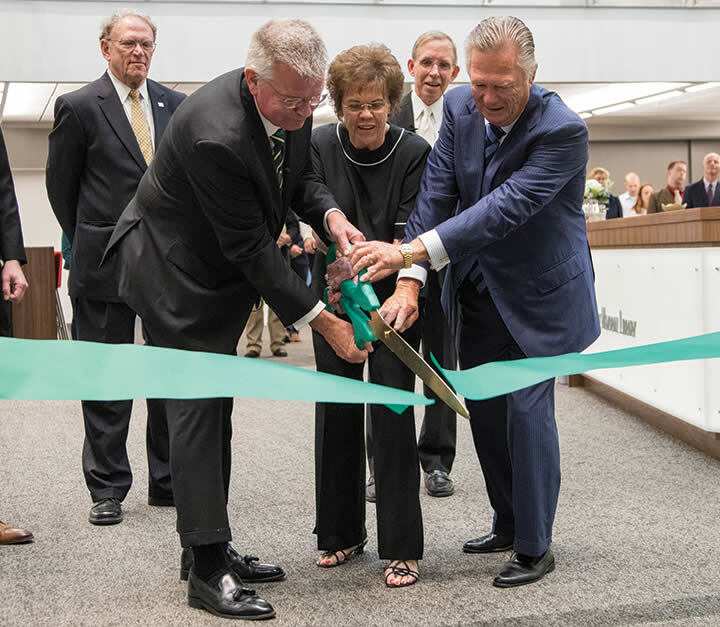 After the Opening Service, the campus community celebrated the grand opening of the Kristine Kay Hasse Memorial Library. The $6-million transformation of the Seminary’s library in Fuerbringer Hall was made possible throught gifts to the Generations Campaign. The renovated library is named in memory of Glenn and Kay Hasse’s daughter, who died in a car accident at the age of 17. The Hasses of Naples, Fla., provided the lead gift for the library’s renovation. The library grand opening celebration included remarks by Meyer, Clayton Mayor Harold Sanger, Master of Sacred Theology student Andrew Hatesohl, the Hasses and Director of Library Services Rev. Benjamin Haupt. The event also featured a lecture by Professor Emeritus Dr. Robert Rosin about the historical significance of libraries and how they can sharpen contemporary Lutheran witness to God’s truth. To watch a recording of the library grand opening, click here.